So Christmas has been and gone and 2019 is now well and truly here. There's an abundance of jobs to do at the allotment, even at this time of year. I have read of some people shutting down their allotment for the winter, why on earth would they do that? Every time I think about it another item goes on the list, and there's a very good reason for that; if previous years have taught me anything it's that hard work put in now will pay dividends come the summer. So what can we doing now that is going to make our lives easier in the months ahead, what should we do to give our plants the very best start? For me a huge issue last year was the pathways. In my infinite wisdom I decided that grass paths would be an affordable and suitable solution to getting around on the allotment. Well, I got the first part right at least, but they are far from suitable. I found that I would spend hours cutting it, edging the beds and generally doing battle with it. 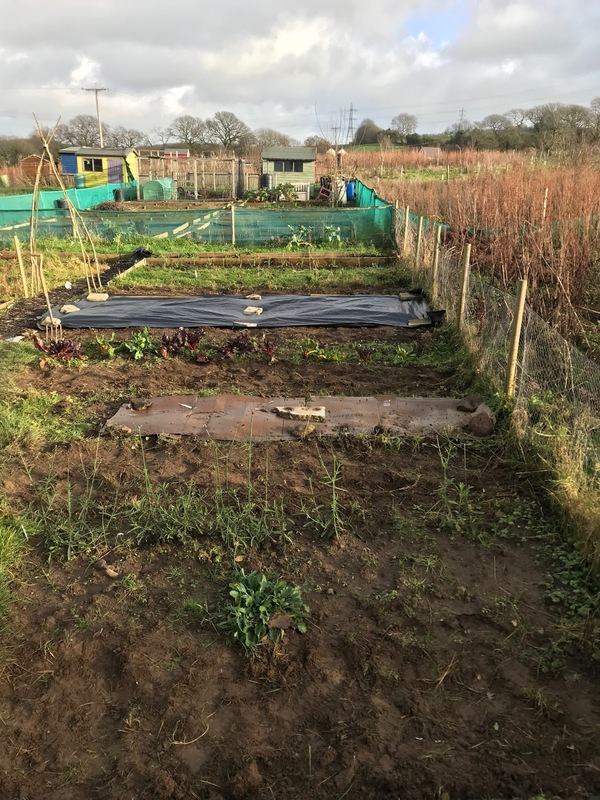 I'd even plan special trips to the allotment just to cut it, and of course as a result the things that I actually wanted to grow got neglected. So that's it, they've come out and in their place will be woodchip. The next job will be putting some goodness back into the soil. 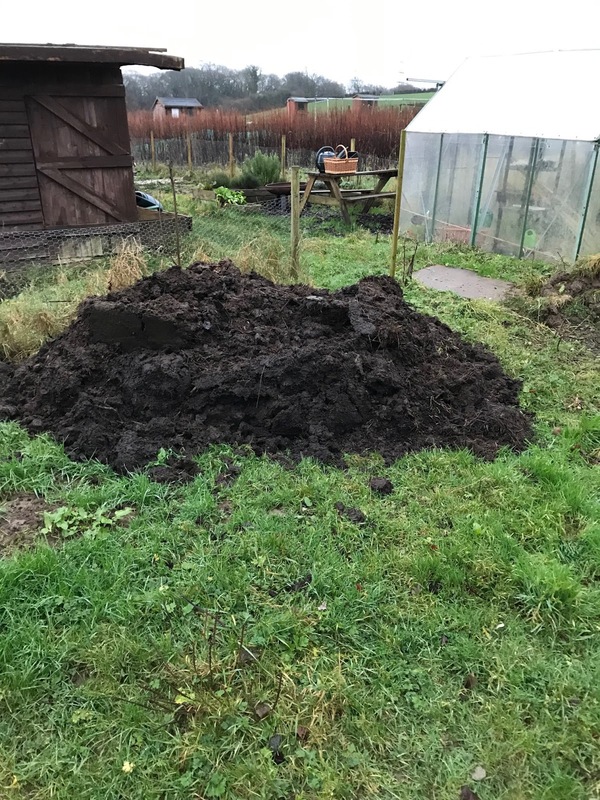 I'm lucky enough that my allotment is situated in the middle of a beef farm and manure is readily available at a good price. In a handful of beds I have grown some green manures which will be dug in next month. For the beds that have been left exposed they will be topped with the well rotted manure. Again this is another lesson learnt from last year. I'd inherited the plot with no clues as to it's previous history. It was completely overgrown so I thought I'd risk just clearing and planting straight into the existing soil. It worked to some extent but would definitely have been improved had some organic matter been added to the soil beforehand. Poor soil leads to weak plants which grow slower and are more susceptible to pests, the end result being a smaller harvest. Next up for me will be the greenhouse, a valuable asset in any garden but very much an underused one in mine. I had a good amount of tomatoes from it last year but that was pretty much it, at the moment it stands empty. So far I have just used grow-bags and containers inside but now I think is the time to establish a permanent bed, at least along one side. I'll begins sowing things in there very shortly with Broccoli Raab looking like a good candidate at the moment. In theory this should be ready by the beginning of April and continue to produce through until June. But first a good clean of the whole thing and a few running repairs. This will be plenty to keep me going for the next couple of weeks but if you're sat there getting itchy fingers I'd certainly suggest that you start thinking of where you are going to grow things this coming season. 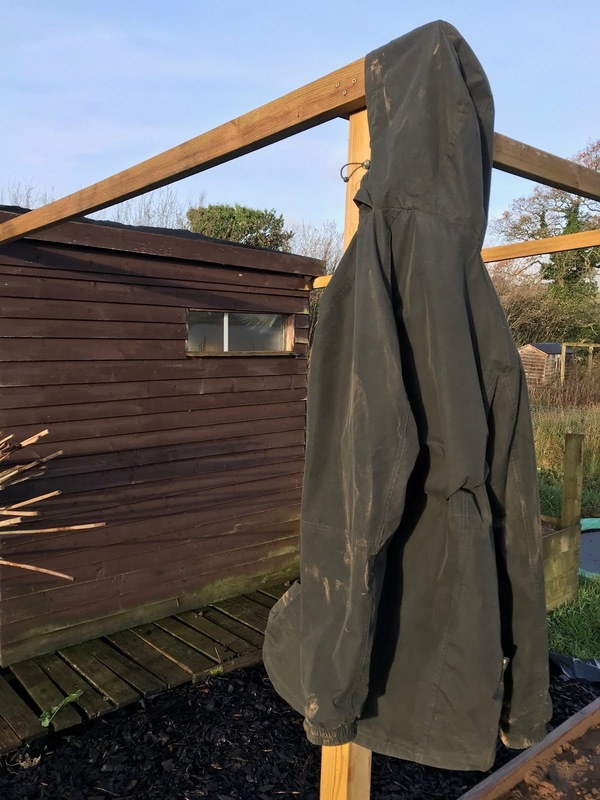 This may be based on what is growing there now, what grew there last year, how much light it gets and what soil conditions you have to offer. Just remember any work now is going to make life easier later on and with a bit of luck give you some time to enjoy the sunny days ahead. There's barely a week gone by this year where we we haven't visited a beach. 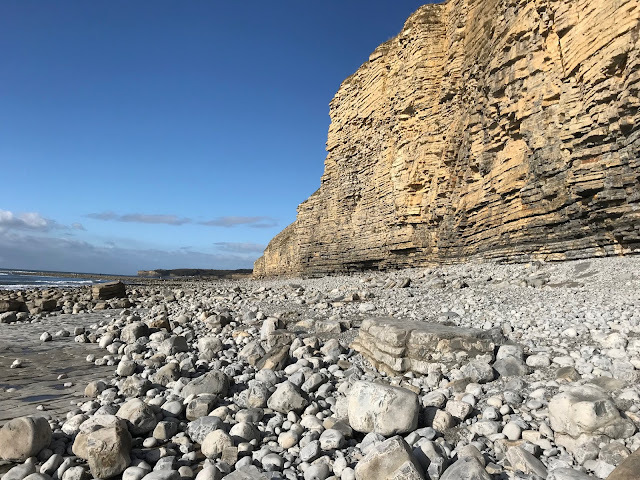 We are spoilt for choice with beaches such as Southerdown, Ogmore, Newton, Llantwit Major and even Barry Island and Porthcawl less than twenty minutes from our door. In the summer it's long lazy days with a picnic but more often than not it's a Sunday afternoon walk. It is not unusual to find ourselves the only ones on there, braving all weathers come rain or shine. It sounds idyllic, and it often is, but it's very rare that we don't spot a piece rubbish of some description or other. Even in the most remote places it's hard to escape, beaches that may not have seen another human for days or even weeks are invariably littered with rubbish. As we are all becoming increasingly aware plastic, and particularly single use plastic, have become a real issue for the environment. Items such as plastic bags and bottles are hugely damaging for marine life either being mistaken for food or getting tangled around the animal. The chances are that it probably wasn't even left on that beach, a huge amount of rubbish washes in with every tide. Litter dropped in any town or city can easily make its way to the shore. With the expected lifespan of most plastic bottles estimated at 500 years it's going to be around for a very long time. The good news is that looking into the problem very quickly gives you the chance to do something about it. Led by a charity called Surfers Against Sewage beach cleans are now happening all of the time. Volunteers all over the country are getting together and fighting back. The best thing is that if there isn't a beach clean happening near you Surfers Against Sewage will give you all of the resources to organise your own. 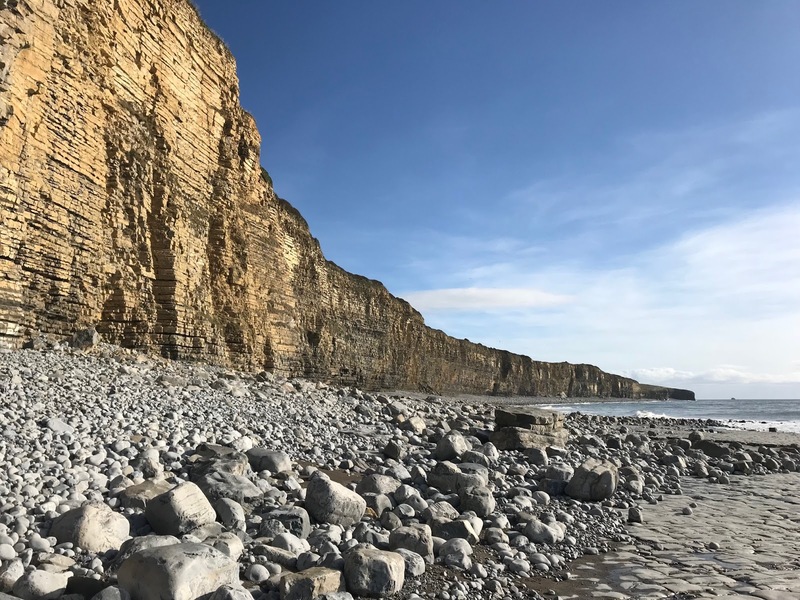 Surfers Against Sewage originally came about when a group of surfers in Cornwall had become increasingly frustrated by the levels of pollution in Britain's waters. 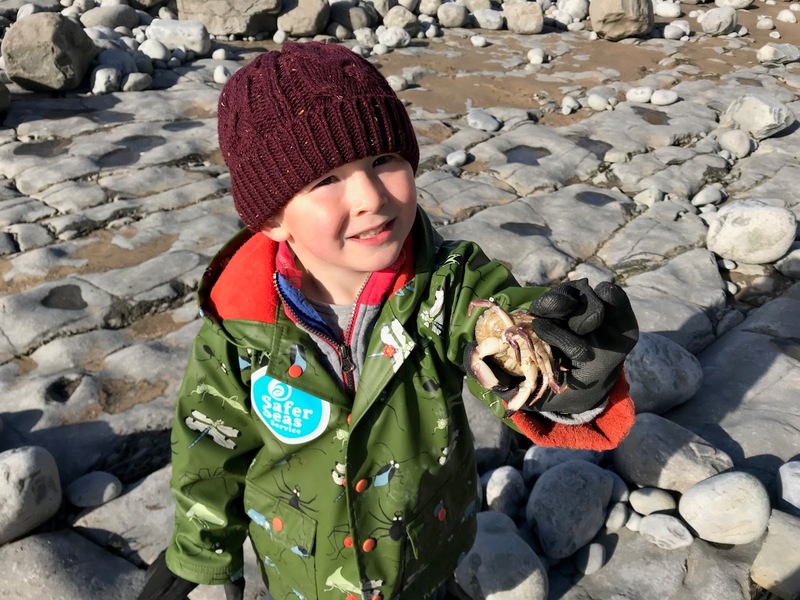 Initially campaigning about sewage they are now one of the UK's most active and successful environmental charities and focus on all areas of marine conservation. By chance this week was the 2017 Autumn Beach Clean; a big push before winter to get the litter removed from our beaches. 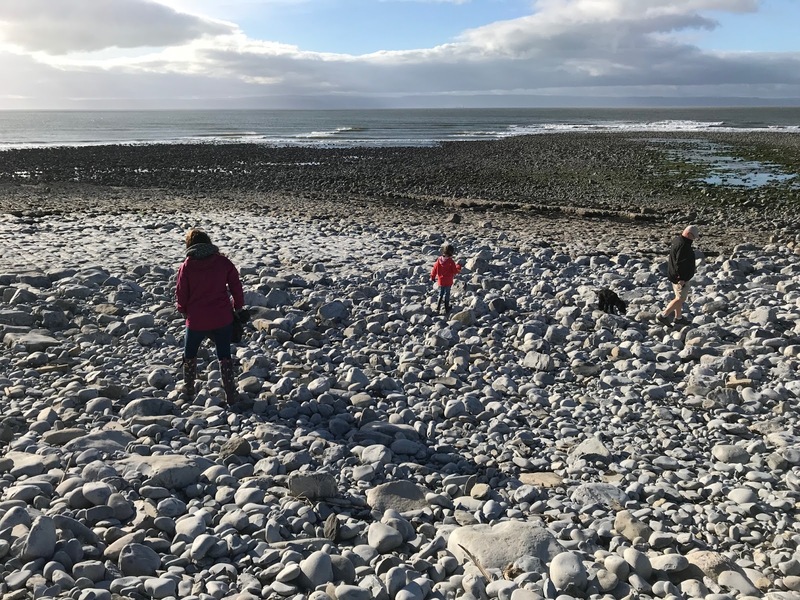 It's not just tourists that visit the beaches in the summer, they are used year round but once the summer holiday makers have left they often forgotten about, or left to the locals to clean up. On arrival at the beach we were greeted by the Surfers Against Sewage rep along with a handful of volunteers. Kitted out with gloves and a black bag my four year old son and I set of along the beach in search of rubbish. Of course to him it was like a treasure hunt, he is rarely happier than when he's on the beach so any excuse to get down there is good enough for him. Two hours later we returned with a bin bag full of rusty old beer cans, fishing line, string and inevitably plastic bottles. Looking back throughout the clean more and more people had joined in, by the time we had finished the ten that started had very quickly turned into about thirty or so; in fact there were more people the beach with bin bags in hand than without. The sense of freedom you get on a beach, looking out at a huge expanse of seemingly never ending water, is like nothing else. These truly are places that must be protected and not destroyed and run down like so many others. With millions of people visiting Britain's beaches each year if everybody picked up some of rubbish a little bit would go a very long way. We'll certainly be doing another beach clean and I'll be telling anyone that will listen that they should do the same. A week away in Cornwall provided the perfect opportunity to visit a garden that has been on my list for a very long time, The Lost Gardens of Heligan. With so many beautiful gardens in Cornwall I could have chosen to visit any, but this one held particular intrigue. Having read about it and seen various pieces on television the attraction was clear, this was unlike any other country estate or manor house garden, this was something that had lain neglected for years, forgotten and unwanted. This was all until a chance discovery prompted was has now become the largest garden restoration project in Europe. The vegetable gardens were as magnificent as you would expect from a garden of this stature. Originally providing food for the table of the grand house, this series of gardens now supply the Heligan kitchen with fresh fruit and vegetables for much of the year. Each was as productive and well organised as the next with an emphasis on production above all else. Beans that had grown too big or that were past their best were left to dry either for the kitchen during winter or for seed for next years plants. Huge beds of asparagus blew in the wind capturing all of the suns energy ready for next years spears. The brassica beds were also a point of huge envy, those that have read my previous posts know the woes I have had with the dreaded cabbage white butterflies, or specifically the caterpillars this year. My own fault really for trying to chose aesthetics over practicality and not netting them; a mistake I won't be making next year. For many, the main draw of Heligan is the jungle. Set in a damp, wooded valley facing down towards the sea you could easily imagine yourself in another world let alone another country. Giant Gunneras dwarf you as you weave your way around the paths. Banana trees, palm trees and bamboo canes all combine to fantastic effect. This is something that Cornwall's unique weather really lends itself to and is a real rarity elsewhere in the British Isles. Of course I couldn't visit Heligan without crossing the famous Burmese rope bridge. If you thought that walking along the jungle floor was unique, walking through the treetops was something else. Providing a whole new perspective onto the magical world below. Cornwall is a truly beautiful place anyway, given the chance I'm sure we'd all move there in an instant; I know I certainly would anyway. 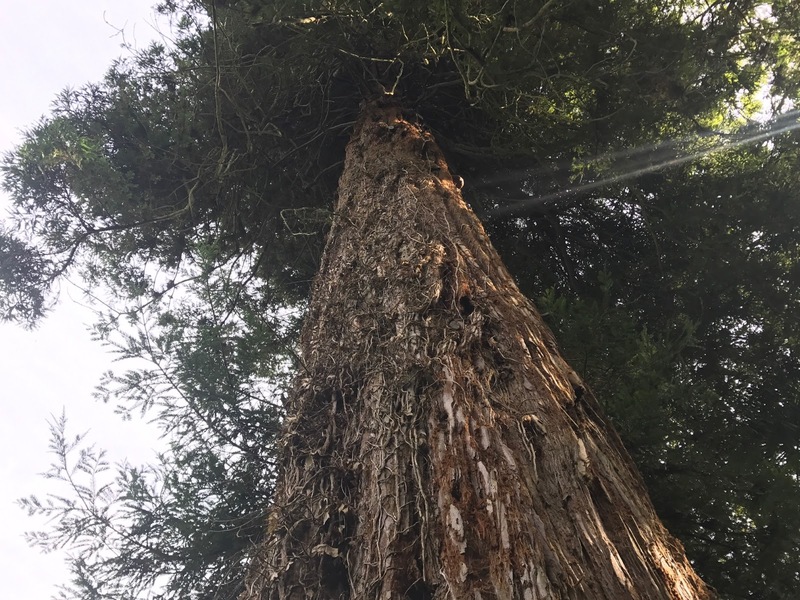 It was an absolute pleasure to look around, explore and enjoy these gardens for a day and I cannot recommend it enough. If you're in Cornwall and looking for a garden to visit put Heligan on the top of your list, you won't be disappointed.